Our product range includes a wide range of rubber coated gloves for construction. We are one of the widely acclaimed manufacturers and suppliers of Rubber Coated Gloves for Construction. 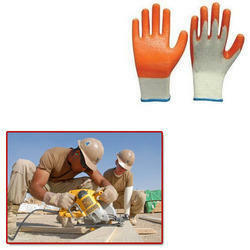 The offered rubber coated gloves for construction are specially designed for the construction sites. Our supplied rubber coated gloves for construction protect the hands of laborers and construction workers. Looking for Rubber Coated Gloves for Construction ?